Hurray, it’s graduation day! The day when all the sleepless, caffeine-induced nights have finally paid off. 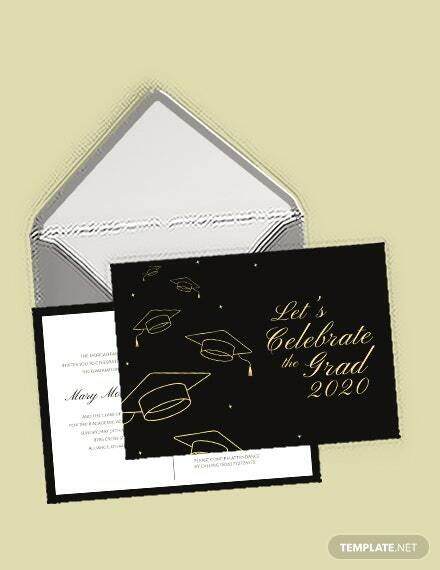 It’s the moment of a person’s life which deserves a celebration with family members, friends, and loved ones.So if you are planning a graduation party soon, then you must realize how important it is to send invitation postcards which will appeal to your guests and make them excited about the party. 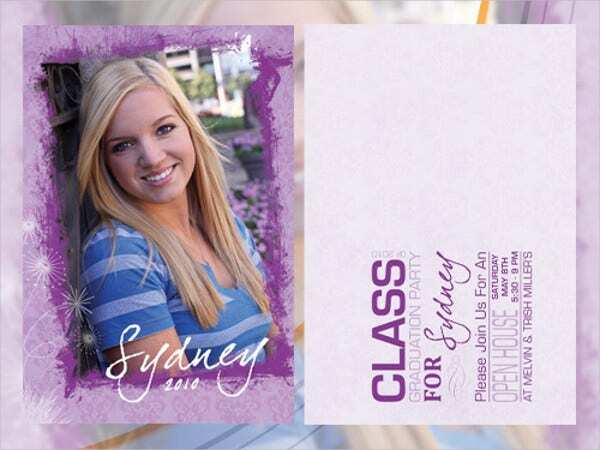 Here, we have collected various Graduation Invitation Templates from which you could choose. Scroll down below and download the template which you fancy and worry not for these can be edited easily using Photoshop and any image-editing program. 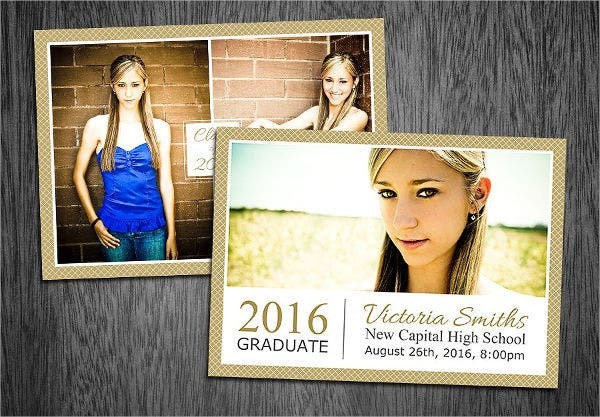 Surely, graduation parties, like all parties cost tons of money. 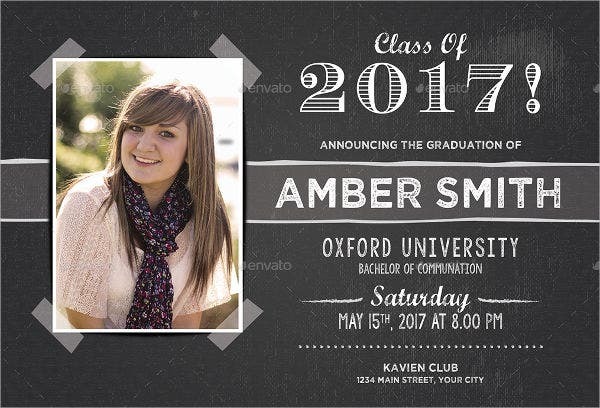 That is why, in order to cut down on costs, you can avoid the pricey rates of professional graphic designers by making your own invitation cards. 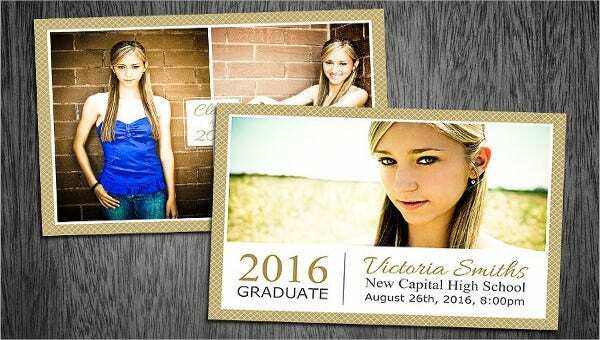 And you don’t have to worry about making your design from scratch since you can use our Graduation Card Templates, which are available in PSD format for you to easily fill in your party details. 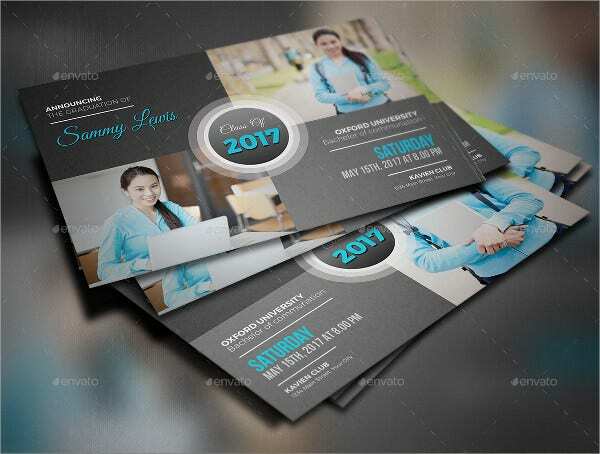 Also, when you make your own invitation card, your card will be more special since you are better able to understand the nature of your party, its location, and, most of all, the personality of your celebrant. 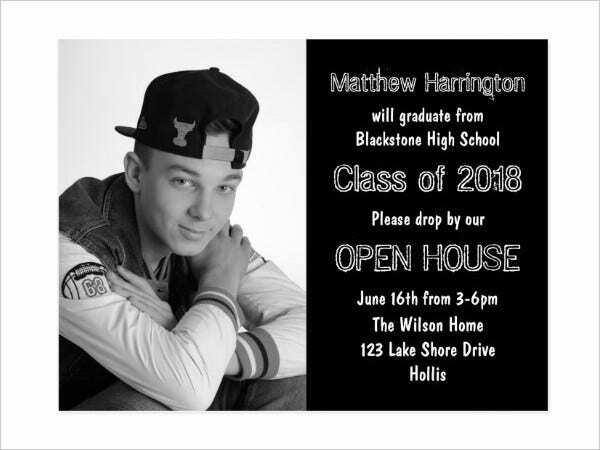 For example, if you are the sister, special other, parent, or best friend of the graduate/celebrant, then you will know more details about the celebrant’s history and you can add tidbits of personal info about him or her on your invitation card. 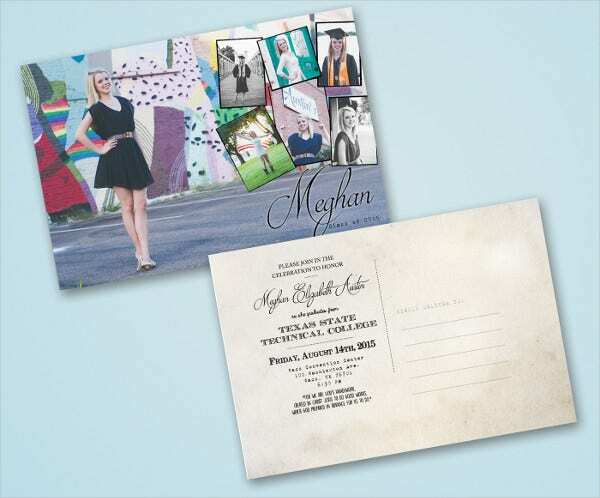 You can also insert a snapshot of a funny moment of the celebrant’s college or high school life which would evoke a warm feeling of familiarity within your guests upon setting sight on your invitation cards. the time of the party. Match the party invitation with the theme of the party and its location. If you are having a laid-back party, then don’t choose an overly serious design. You need to match the design with the tone of they party. Don’t forget to place the party details. The time, date, location, and, most importantly, the dress code of the graduation party are essential details you don’t want to leave out. You don’t want any of your guests feeling out of place during the party. Clearly state that you want them to RSVP at a specific date. This way, you will know the exact number of expected guests, and it will be easier for you to make estimates in your party preparations. 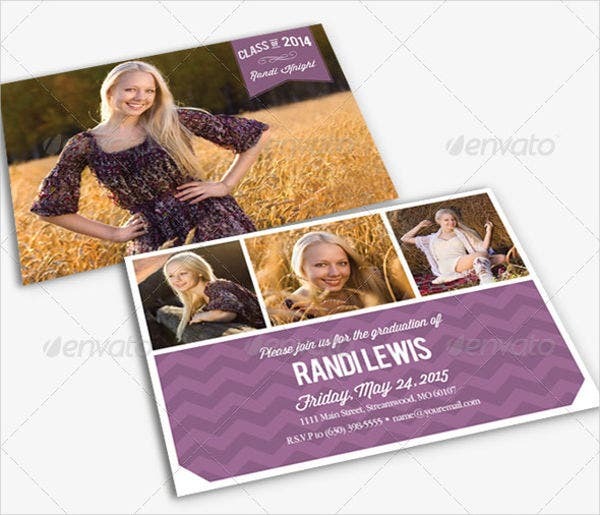 Send your party invitation postcards three to five weeks before the party. If the location is in a remote place, then send it at least three months before. What is important is that you consider your guests’ availability and try to give them enough time to empty a slot in their calendars for your party. 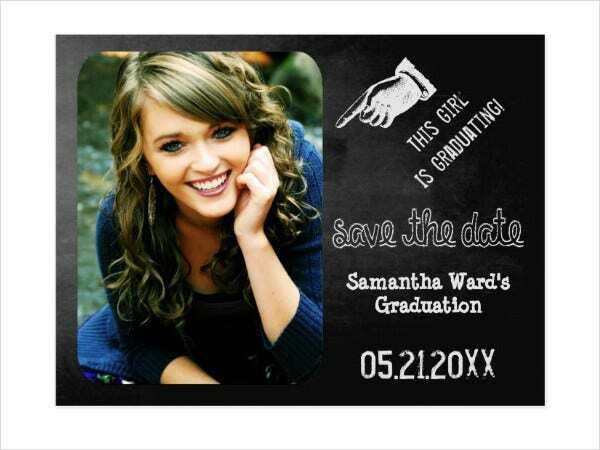 Now that you know the ropes, go ahead and make your graduation party invitation postcards now. For more references, you can check out and download our Postcard Invitations.